I apologize if I haven’t been posting as much recently… I work for a non-profit and things have been a bit hectic there lately and will be for the next two weeks as we are being monitored by the US government. Please bear with me as I may be posting less frequently until that is over! As always, I am still pretty active on my instagrams : bostonbargainista or my personal: ashysaurusrex and on Twitter for sure at: bosbargainista. 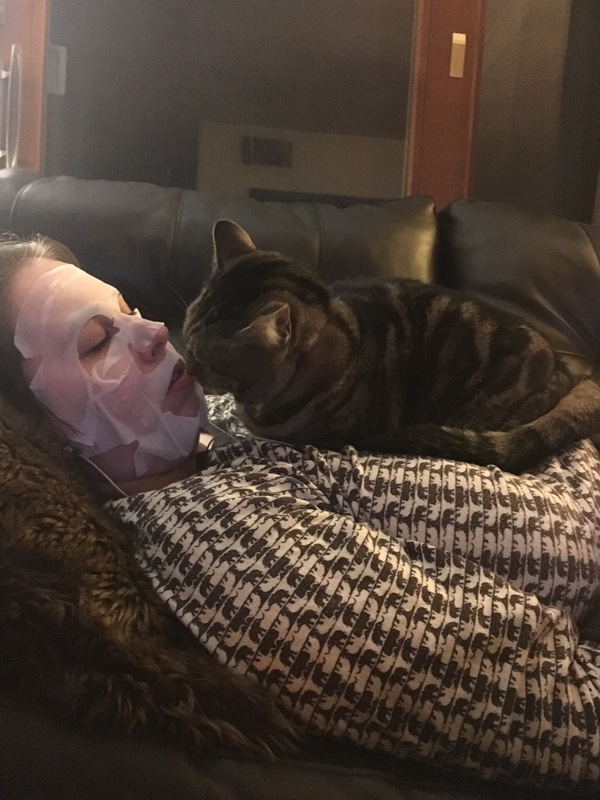 I appreciate your support with this blog, and have no fear.. Lots of de-stress skin masks are still happening. Here’s a photo of one very burnt out Bargainista and her babe trying to finally get some relaxation.